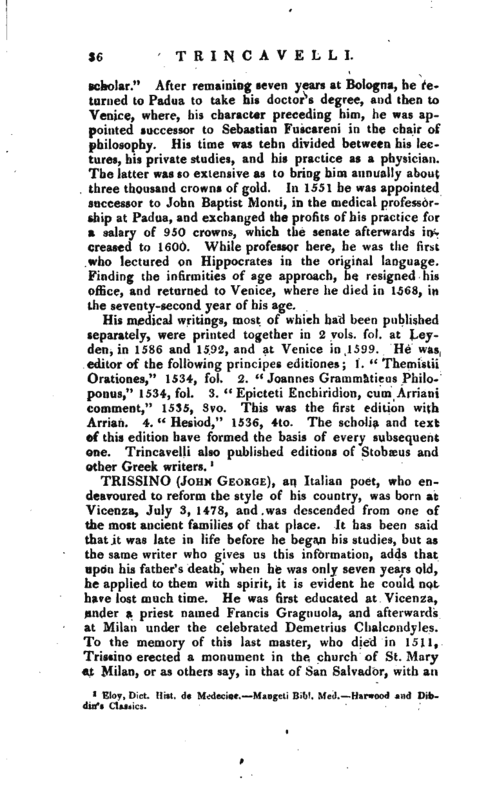 , an eminent physician, but principally deserving notice as the editor of some of the first editions of the classics, was born at Venice in 1496. He began his medical studies at Padua, and went afterwards to Bologna, where he became so distinguished for his knowledge of the Greek language, that the professors of the university would often consult him on difficult passages, and he was honoured by the name of the “Greek | scholar.” After remaining seven years at Bologna, he returned to Padua to take his doctor’s degree, and then to Venice, where, his character preceding him, he was appointed successor to Sebastian Fuscareni in the chair of philosophy. 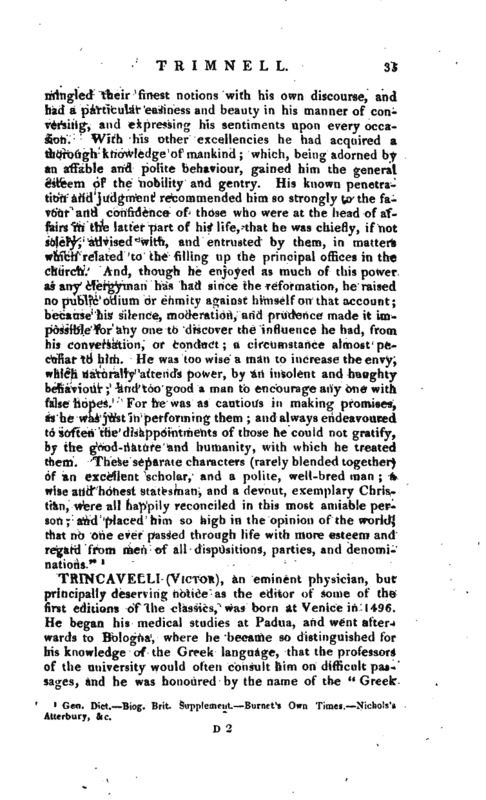 His time was tehn divided between his lectures, his private studies, and his practice as a physician. The latter was so extensive as to bring him annually about three thousand crowns of gold. In 1551 he was appointed successor to John Baptist Monti, in the medical professorship at Padua, and exchanged the profits of his practice for a salary of 950 crowns, which the senate afterwards increased to 1600. While professor here, he was the first who lectured on Hippocrates in the original language. Finding the infirmities of age approach, he resigned his office, and returned to Venice, where he died in 1568, in the seventy-second year of his age. Eloy, —Dict. Hist. de Medicine. Mangti Bibl. Med. Harwood and Dibdin’s Classics.